Thomas D. Wood & Company has hired Fred Welker as a senior vice president and commercial and multifamily real estate loan originator. He is based in downtown Fort Lauderdale, Florida. Welker is responsible for structuring debt and equity capital for commercial and multifamily real estate transactions as well as providing a broad range of advisory and placement services in permanent, construction/permanent, bridge and mezzanine capital to owners of commercial and multifamily properties. Prior to joining Thomas D. Wood & Company, Welker was vice president for Grandbridge Real Estate Capital from 2013 to 2016 and with NorthMarq Capital from 2010 to 2013, both national firms with offices in Miami. He also served as a managing director for the Miami office of Holiday Fenoglio Fowler for nearly seven years, working with national institutional-grade property debt and equity transactions. 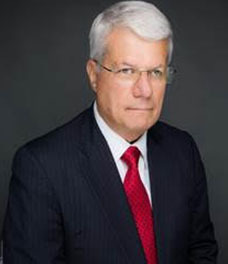 His extensive experience includes serving as president and CEO of Realty Financial Advisors Inc. in Fort Lauderdale, Fla., for 11 years; executive vice president of Sonnenblick-Goldman Corp. in Miami for 10 years; and as a board member of the then publicly traded (NYSE & Nasdaq) Legend Properties Inc., formerly Banyan Mortgage Investment Fund, a national housing and retail owner-developer in Virginia, Maryland, California, Florida and Washington, D.C. With more than 30 years of experience in commercial real estate – as a lender and mortgage banker – Welker was recognized by the Miami Daily Business Review as one of South Florida’s Top Dealmakers in 2010. Mr. Welker is a member of the Mortgage Bankers Association and International Council of Shopping Centers. Fred Welker is an alumnus of the University of Georgia.